The Vurger Co serve vegan burgers (hence the name) around the markets of London, and will be taking up residency at The Pillbox Kitchen in Bethnal Green for 4 Satudays, from 14th Janaury to 4th February 2017. No booking, just turn up, and enjoy great vegan food in burger form, plus vegan beers and wines too. Need to try this! 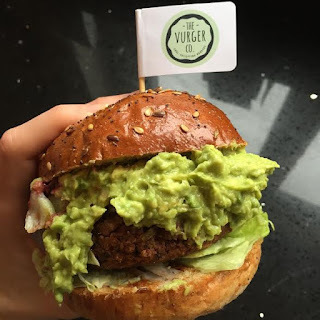 The Vurger Co was born out of a desire to provide delicious plant based burgers to hungry Londoners and beyond! We have hand crafted every single burger with delicious vegetables taking the limelight! We celebrate great food, made with passion right here in London and we know our soul-satisfying burgers will be adored by everyone."